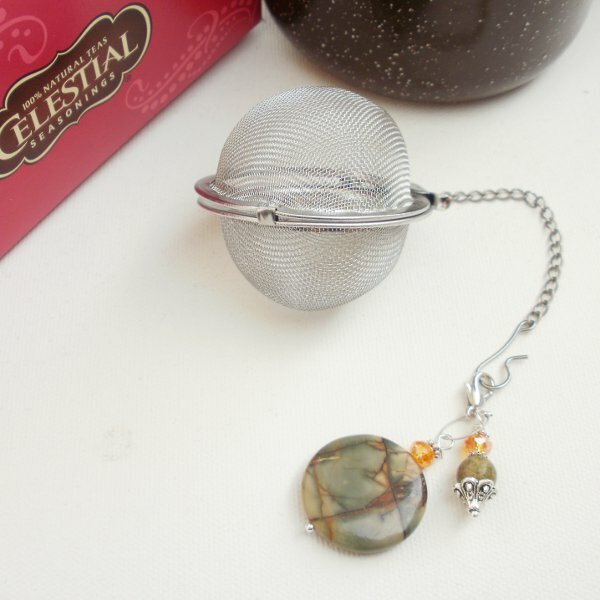 Stainless Steel mesh ball tea steeper and infuser. Just the right size for a 8oz cup of tea or about 1-2 teaspoons of loose tea. Mesh ball is decorated with a beautiful Picasso Jasper bead and a Unakite bead topped with glass crystals. Can be detached for cleaning. Beaded Tea ball infusers are an affordable and unique gift for, sisters, wife's, girlfriends, birthdays, showers, coworkers , a hostess or get well gift and will never disappoint.